Saddle up for a trip through time. Riding trails that weave through mountains, forests, and time itself. Imagine riding the same paths graced by the Vanderbilts and their guests – taking our wide and well-marked trails to the banks of the French Broad River, gliding through pristine forests, or galloping over green pastures. All these and more are yours to explore when you bring your horse to the Biltmore Equestrian Center in Asheville, North Carolina. Our 8,000 acres of land feature five different 10-30 mile loops; several trails include optional jumps and are suitable for carriages. 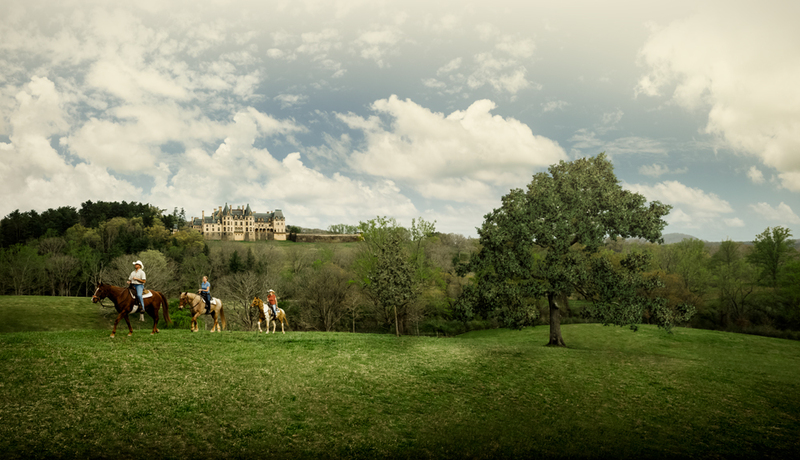 Visiting Biltmore without a horse? See our Horseback Riding Outdoor Activity options! Rated #3 best place in the world to go horseback riding by travelchannel.com!